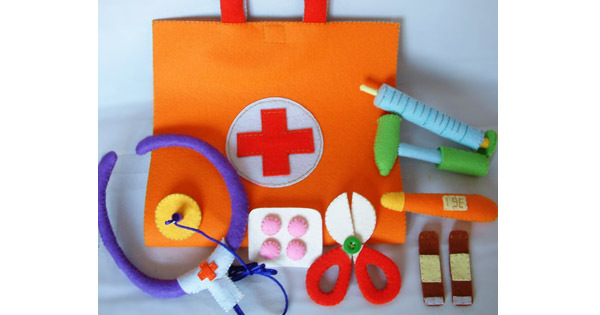 A DIY soft toy medical bag for pretend play doctors and nurses. Includes pre-cut felt and materials to assemble. $32 from Fairyfox.